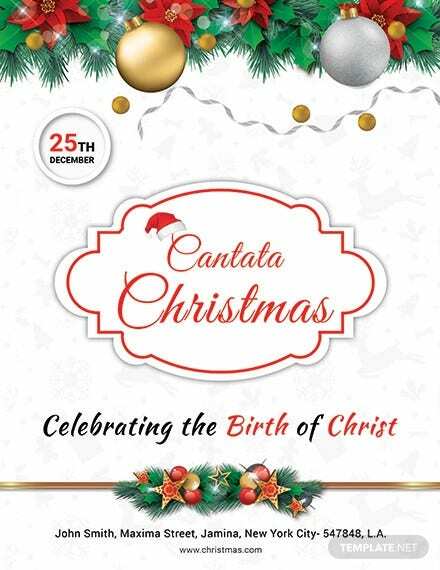 Christmas calls for a grand celebration. 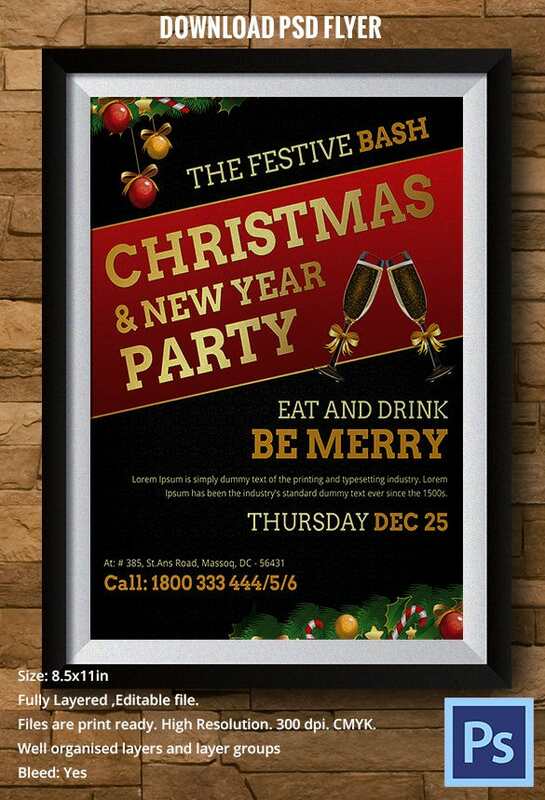 Any grand celebration is incomplete without an impressive flyer. 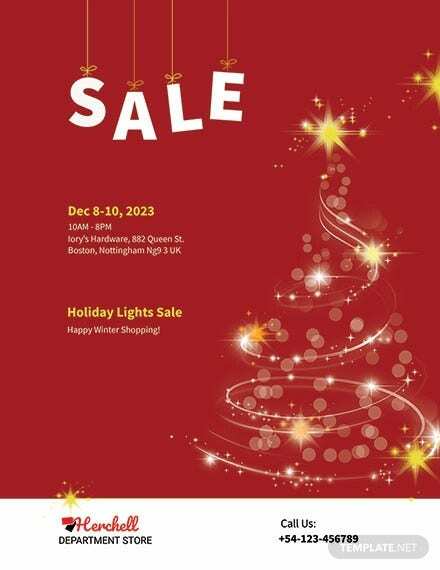 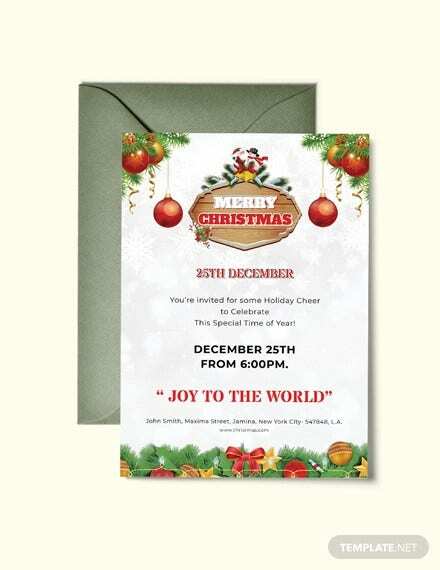 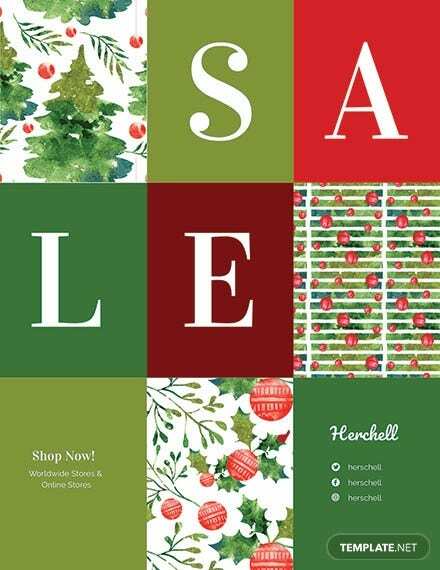 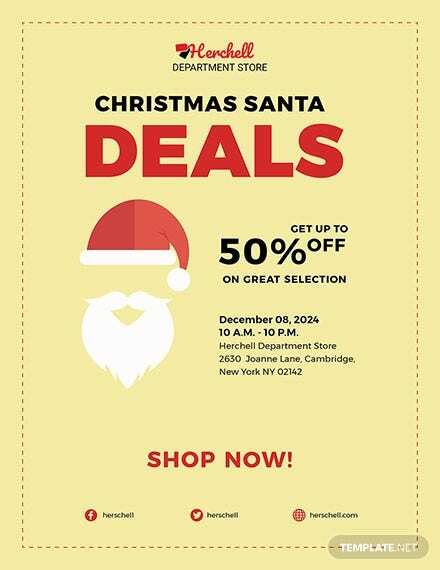 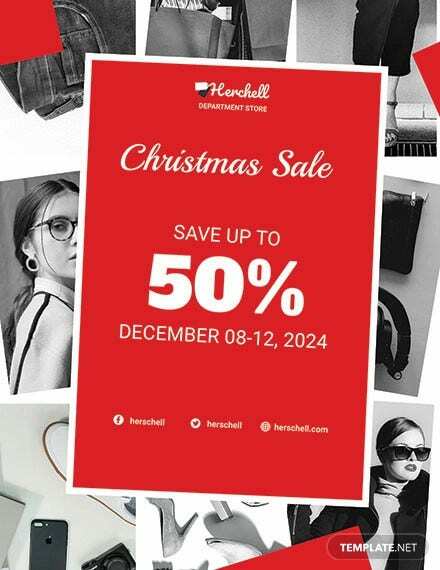 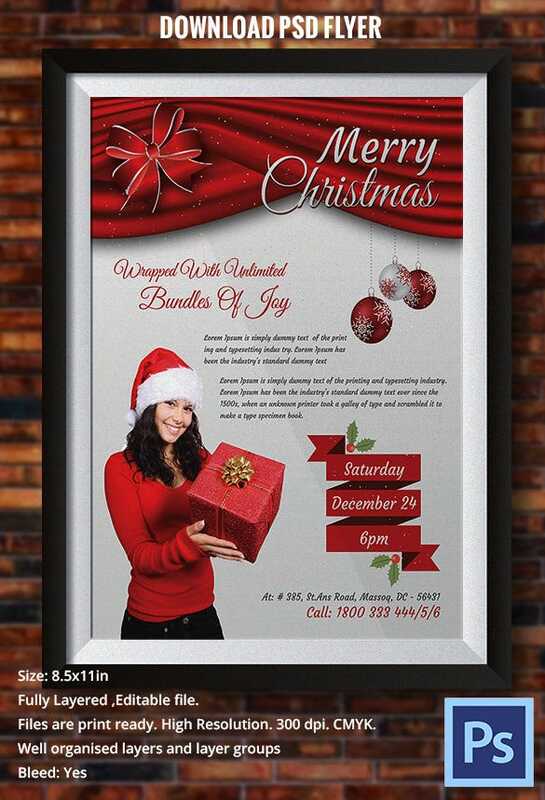 While going about the holiday season, you will need a great flyer to announce your Christmas plans to your customers. 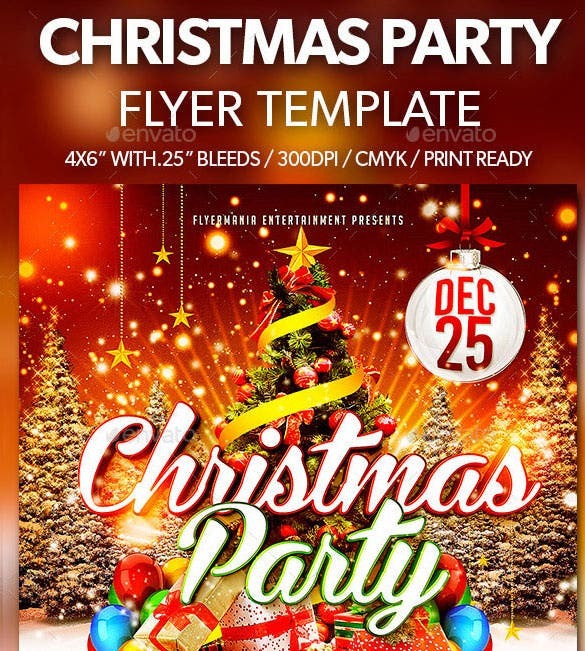 The flyer templates enable you to talk about various events to be hosted during the season, be it X Mas exclusives, special events, buffets or happy hours. 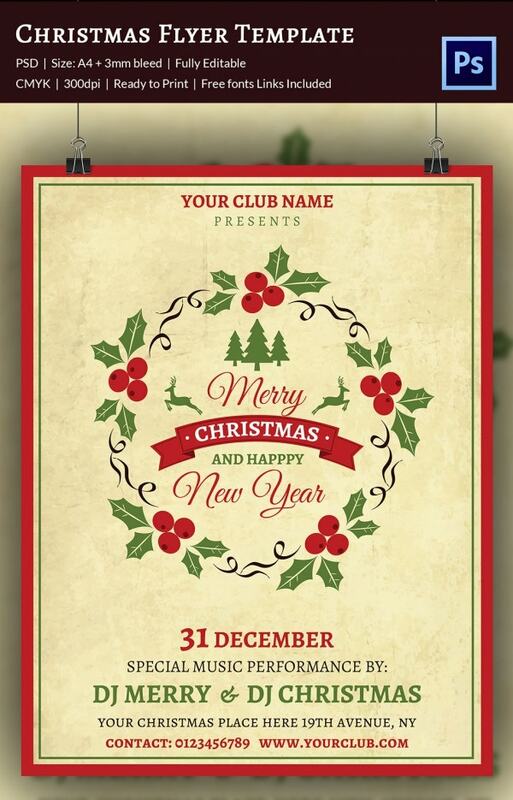 You can also see Happy New Year Flyer Templates. 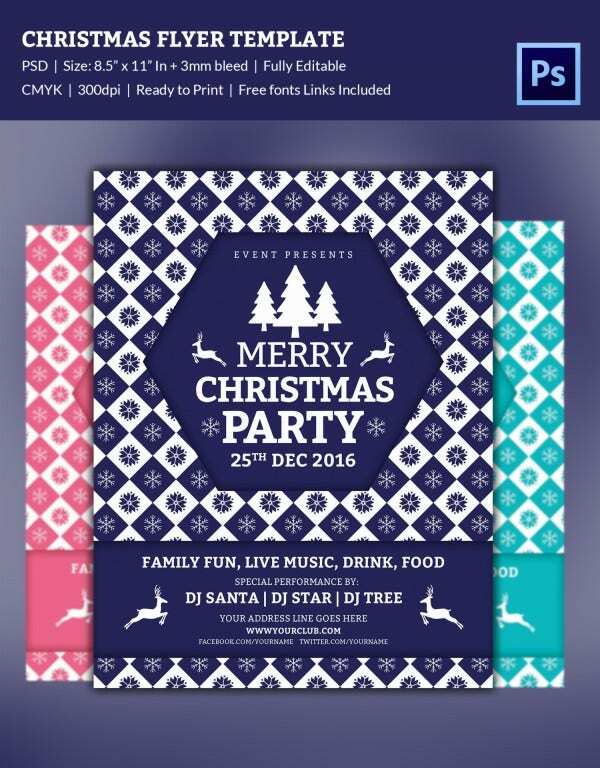 If you hosting an event this Christmas and want business flyers, this simple and elegant Christmas party flyers bundle is the one for you. 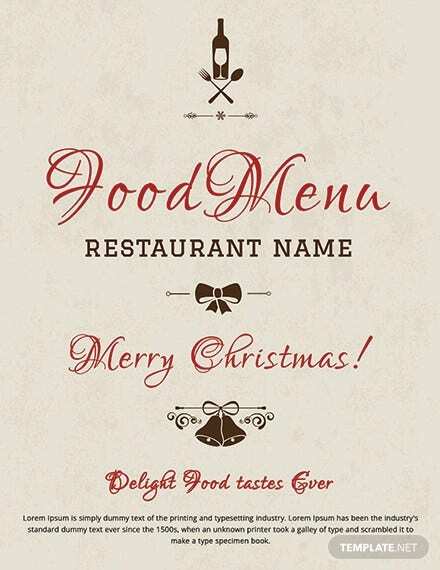 It’s easy to download and print. 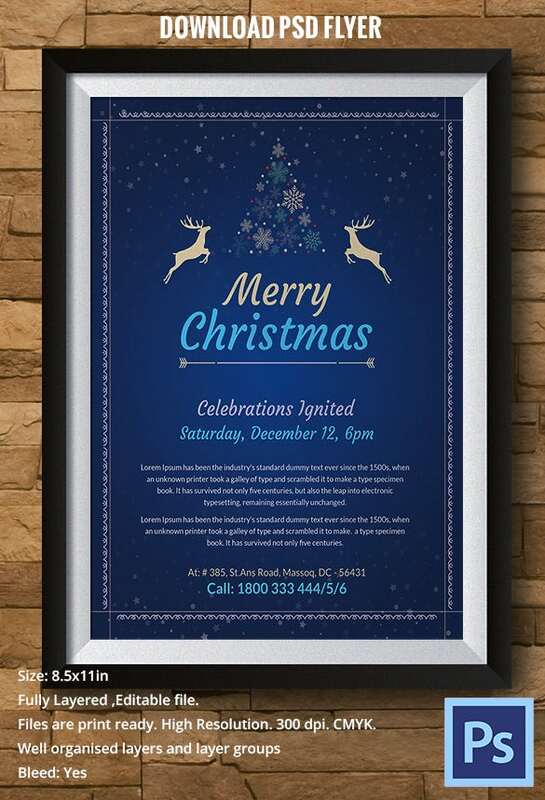 This beautiful Christmas bundle is the right one to start your Christmas invitations. 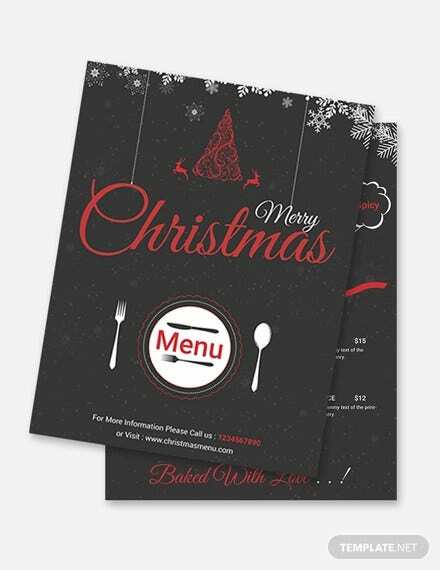 It comprises of A4 brochure, flyer, menu card, greeting card, A3 poster and a thank you card. 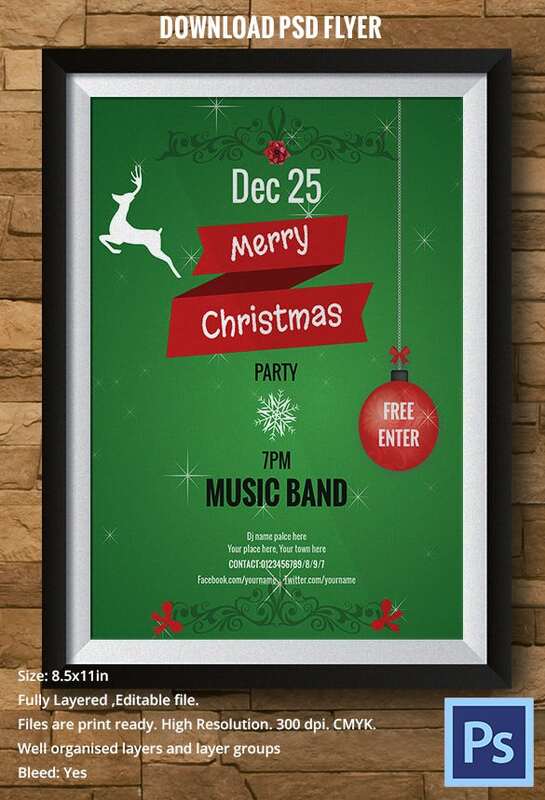 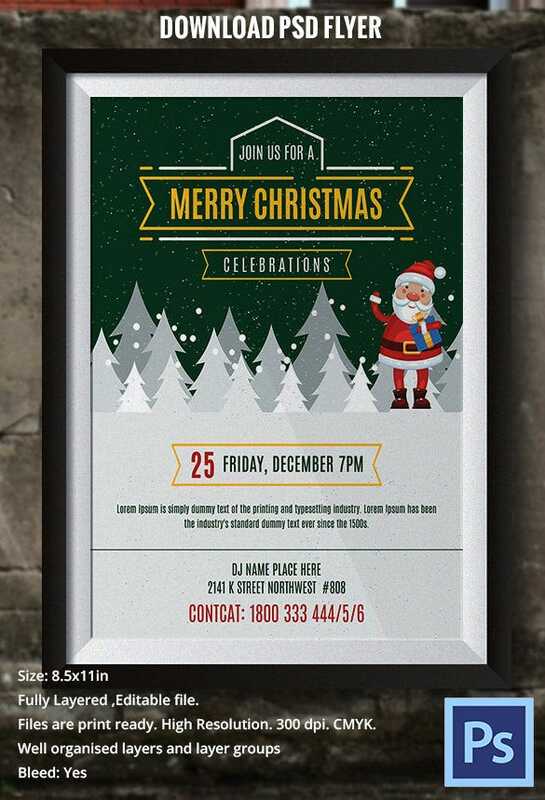 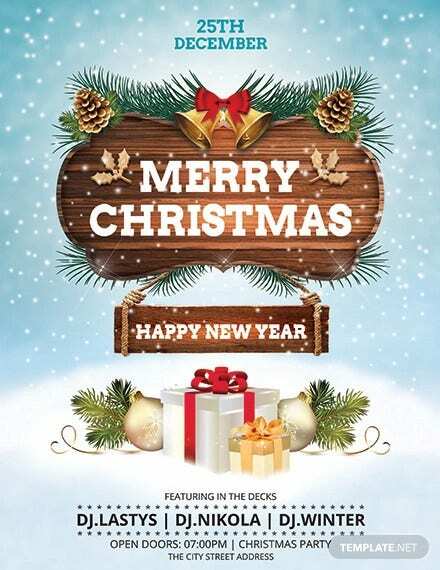 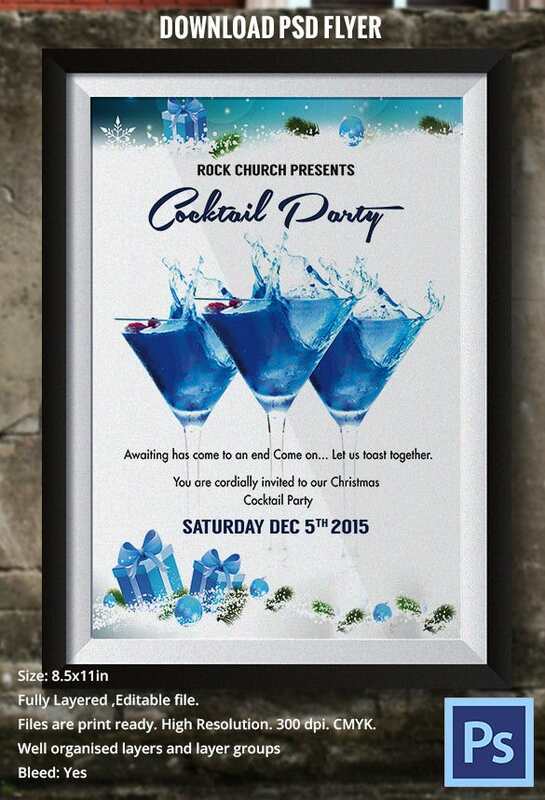 This Christmas jazz up your store with this vibrant A3 Christmas poster Template and welcome Jesus. 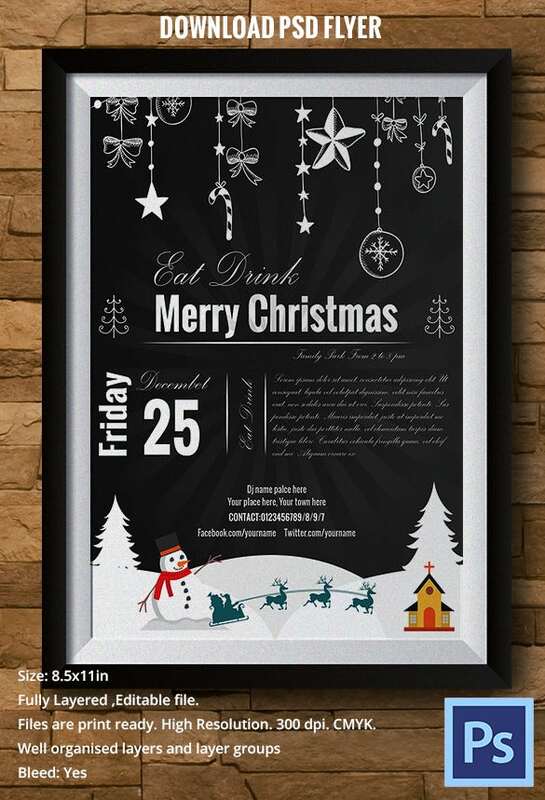 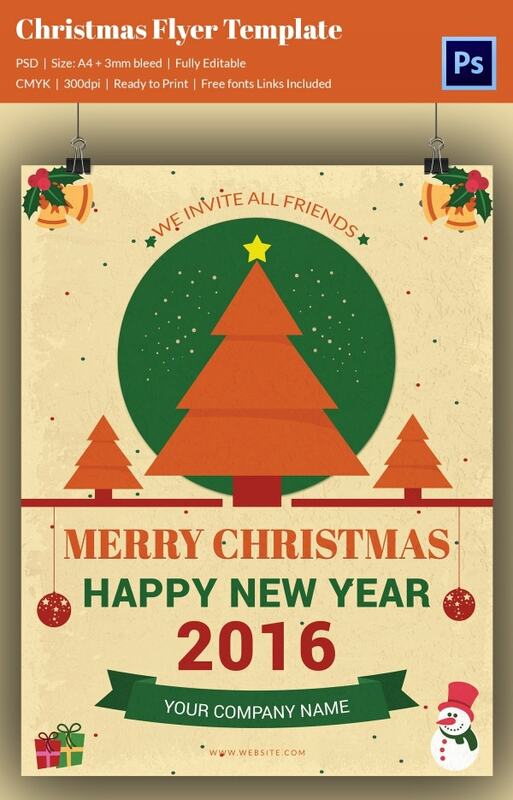 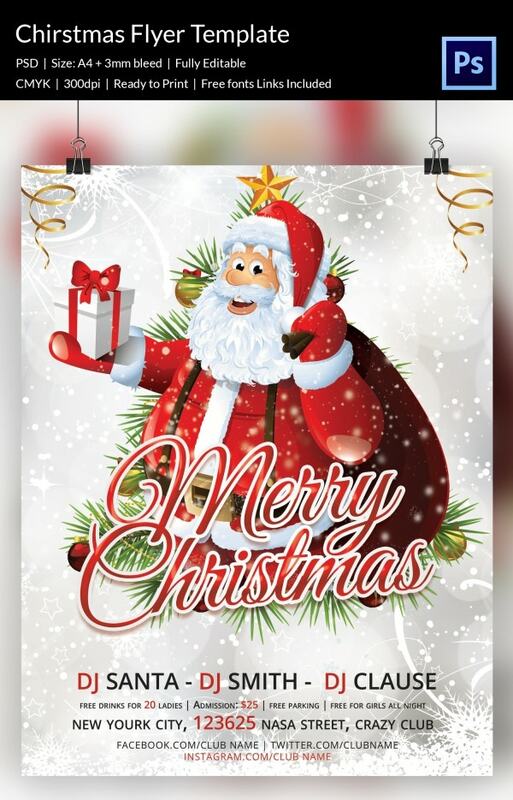 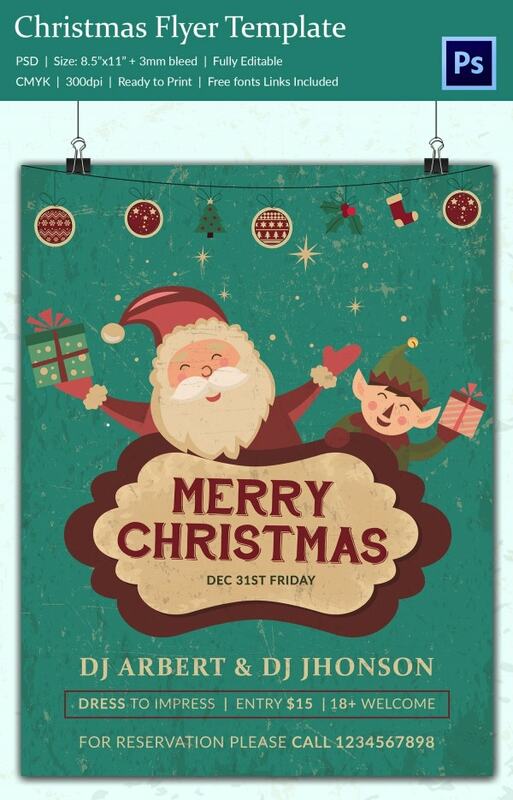 This A3 poster allows you to put up your promotional content with warm wishes. 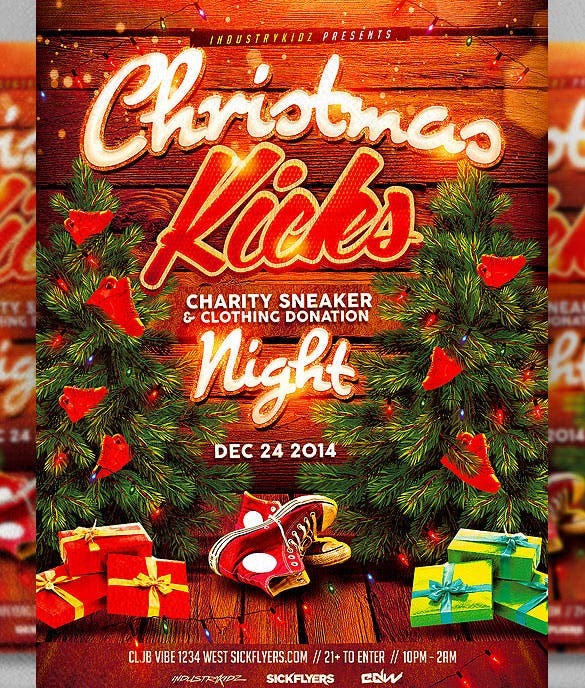 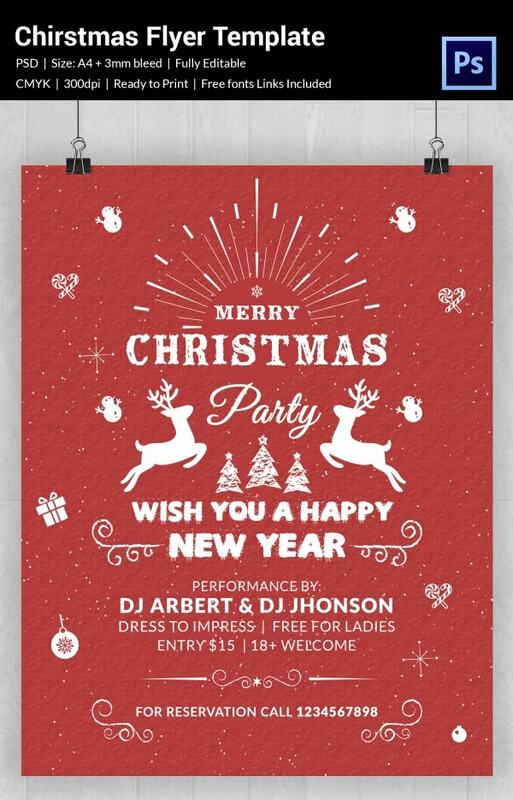 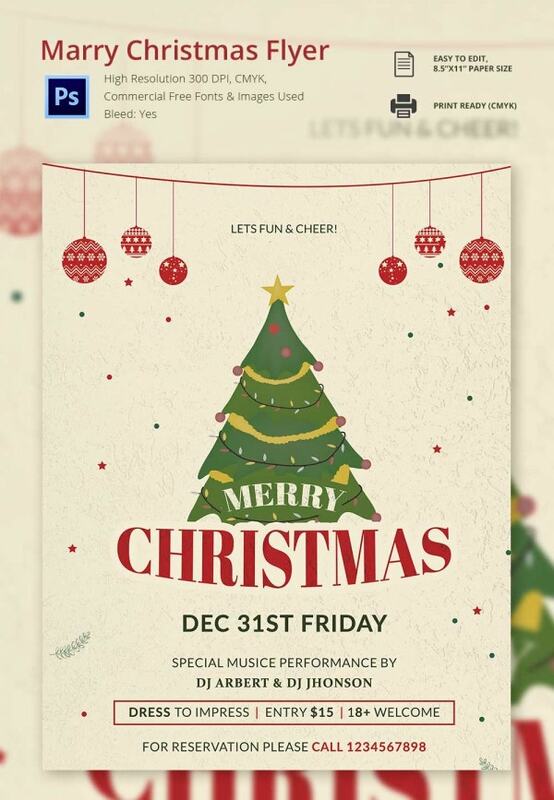 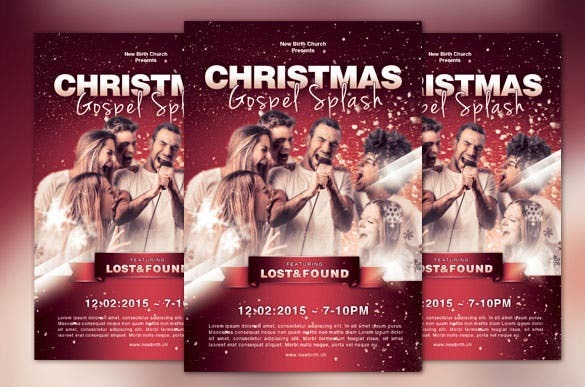 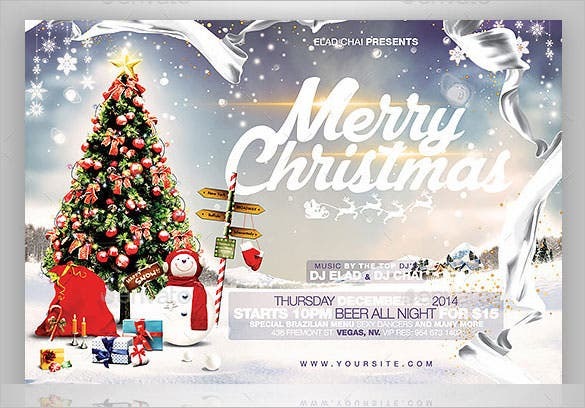 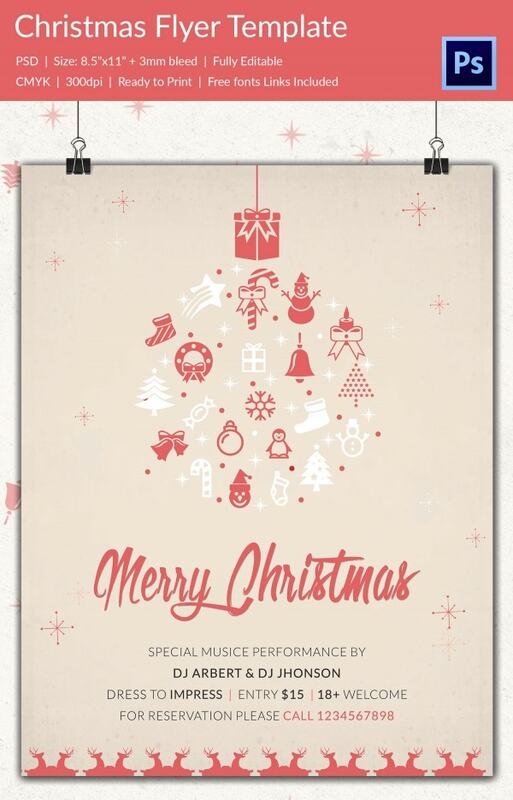 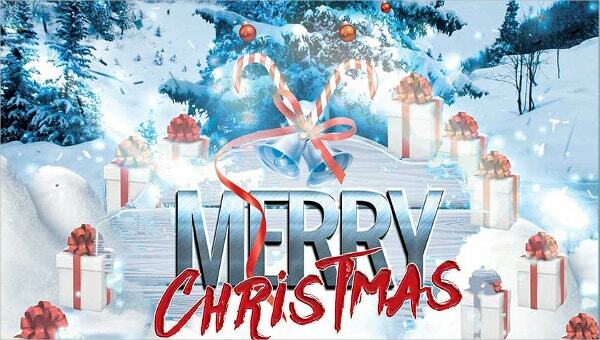 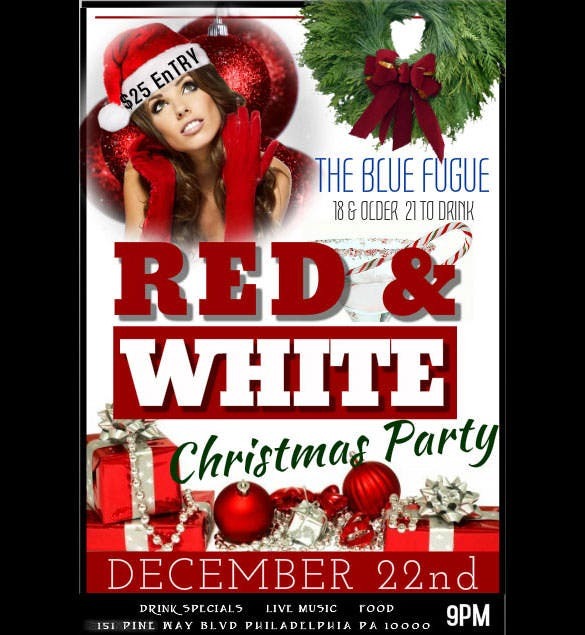 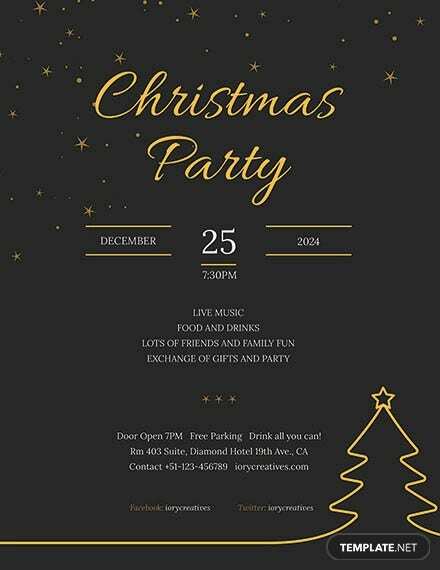 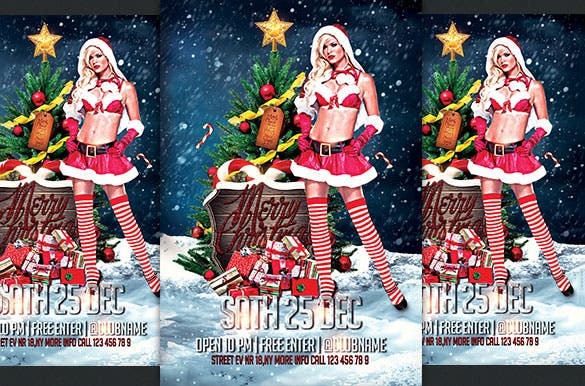 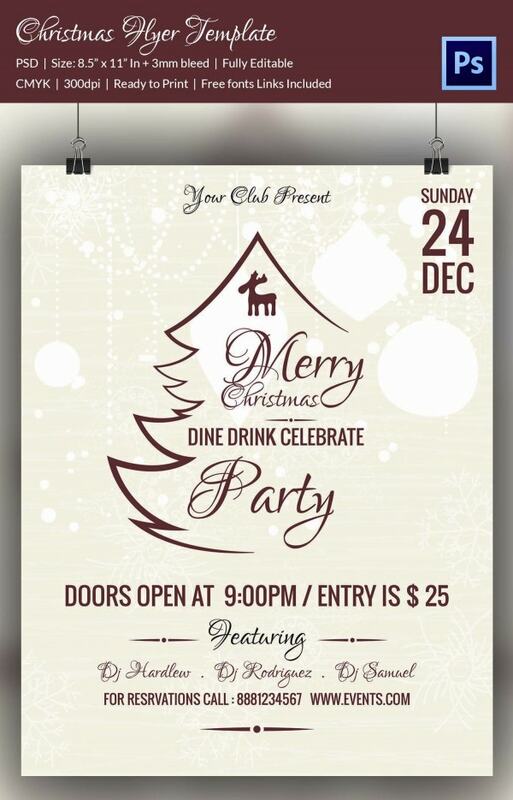 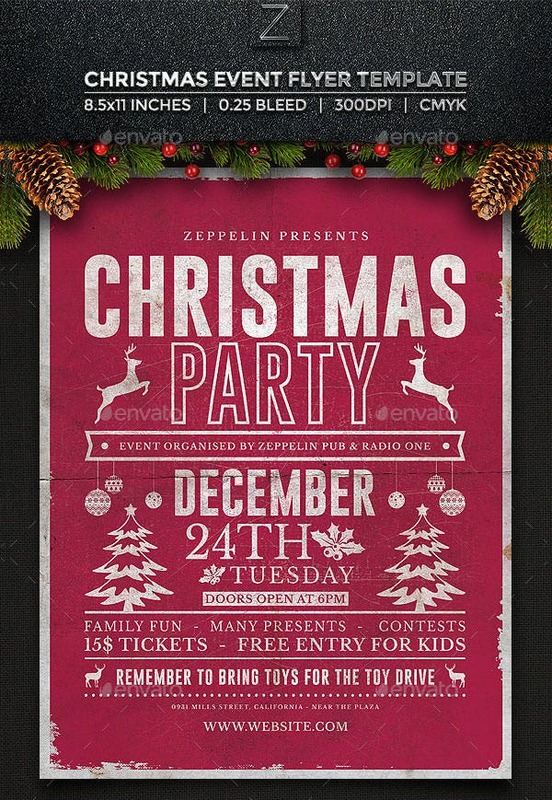 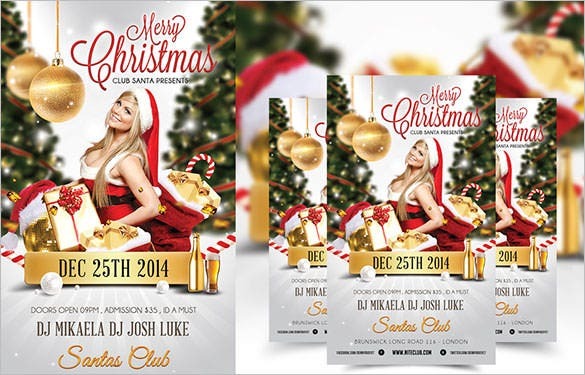 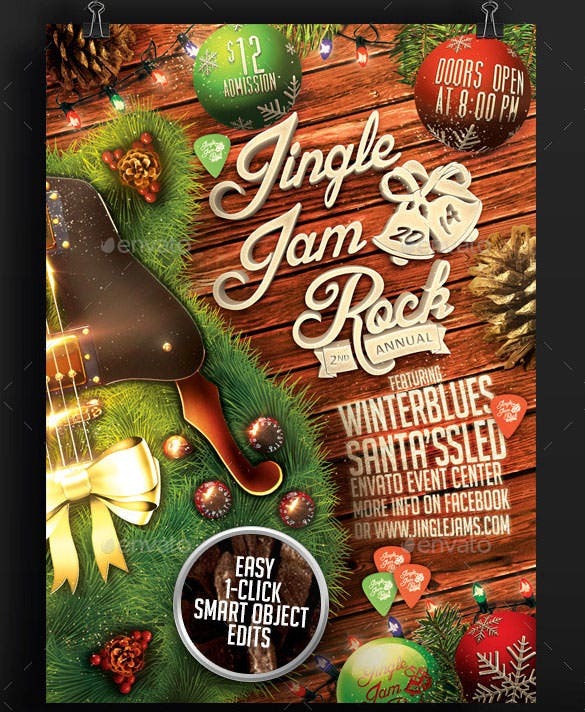 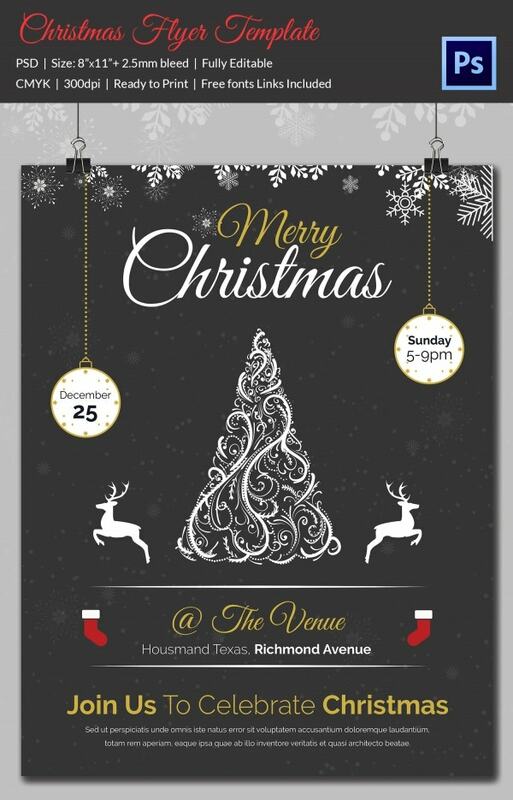 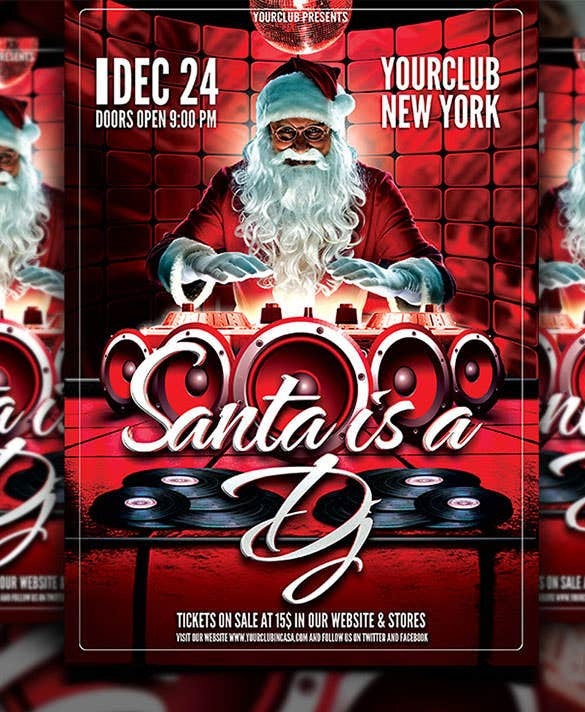 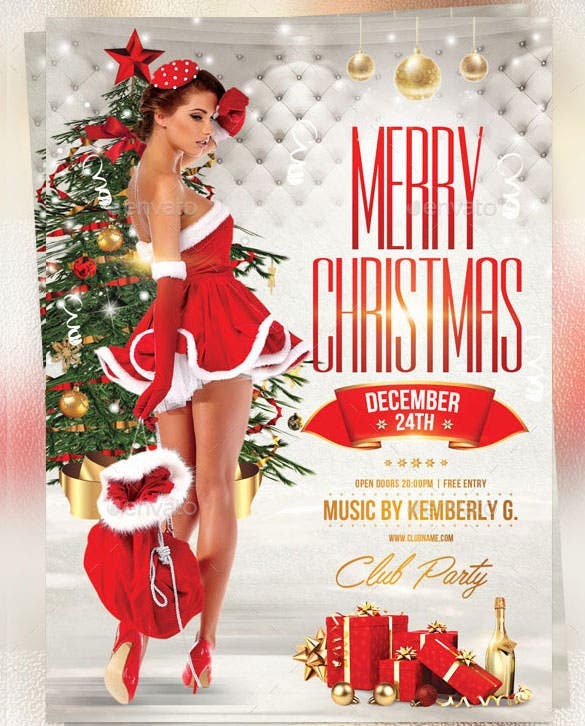 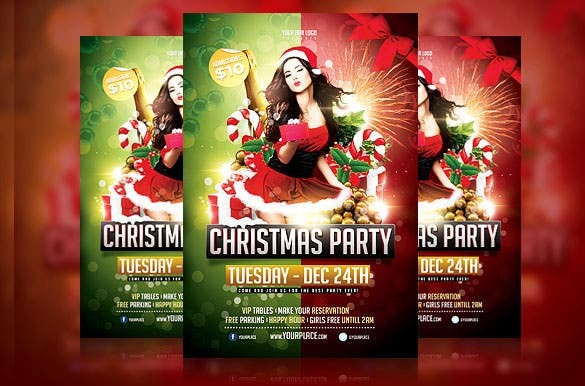 This red Christmas event flyer template is elegant and gives the feel of the Christmas season. 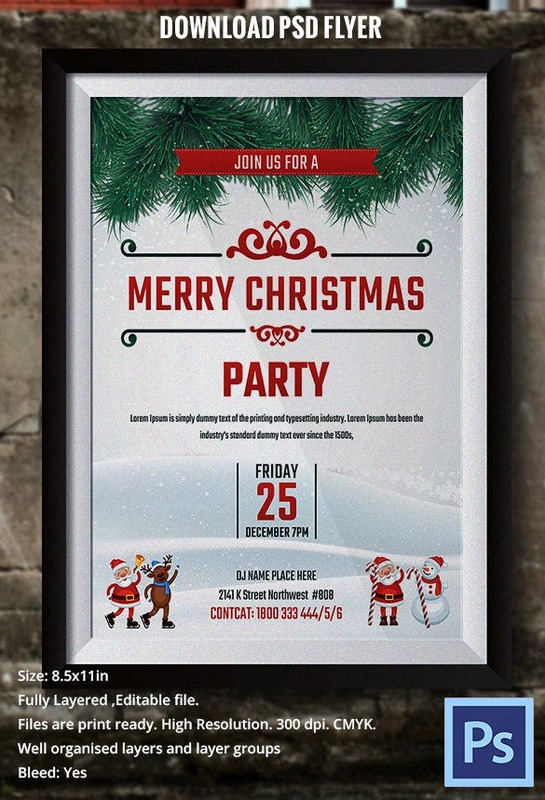 You can use it as a template to announce an event you have organized. 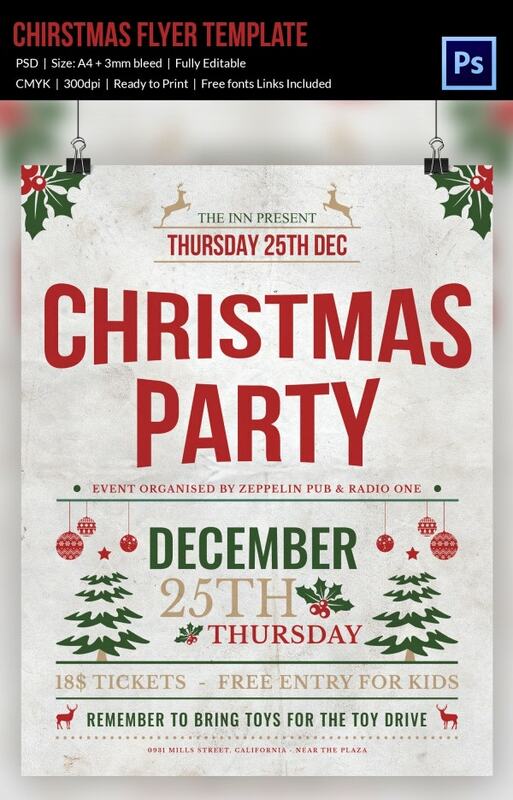 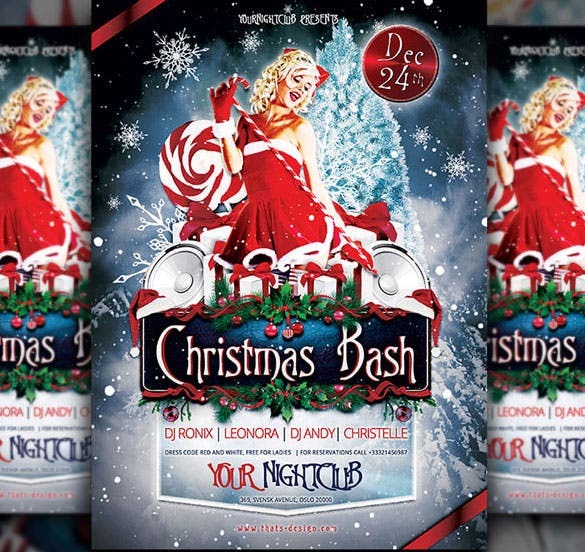 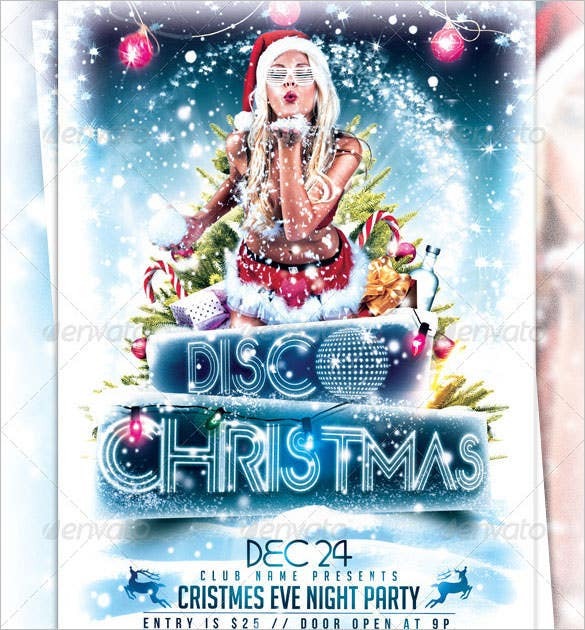 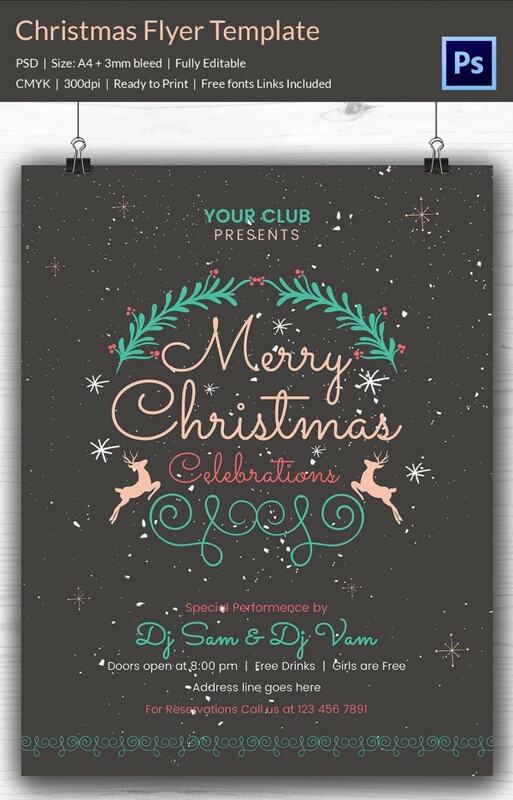 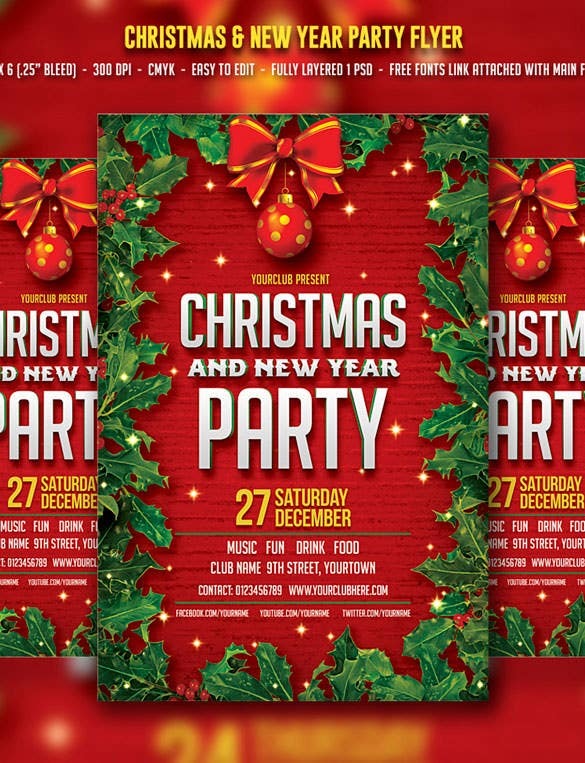 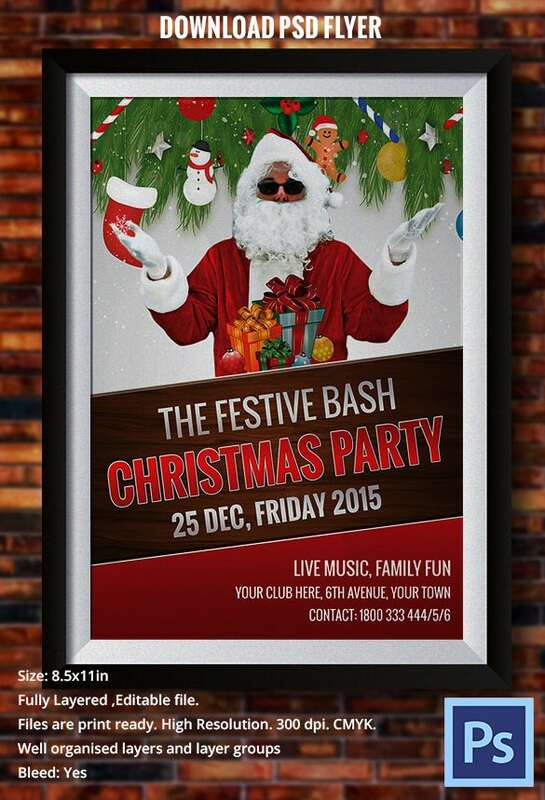 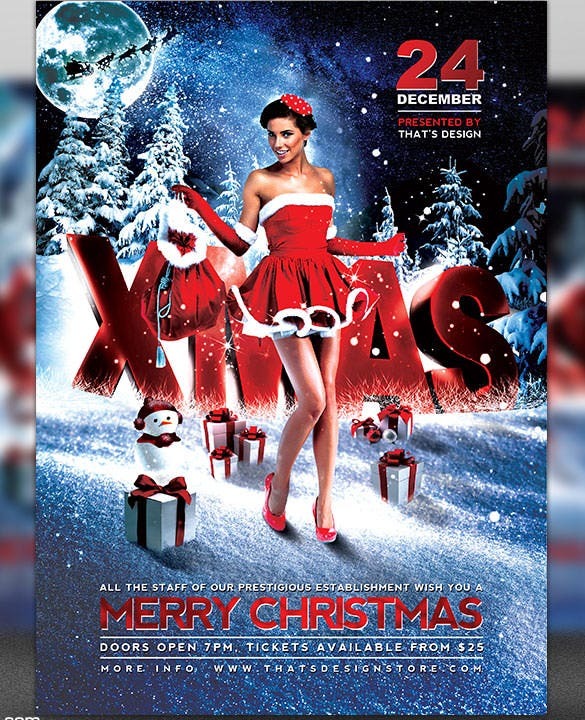 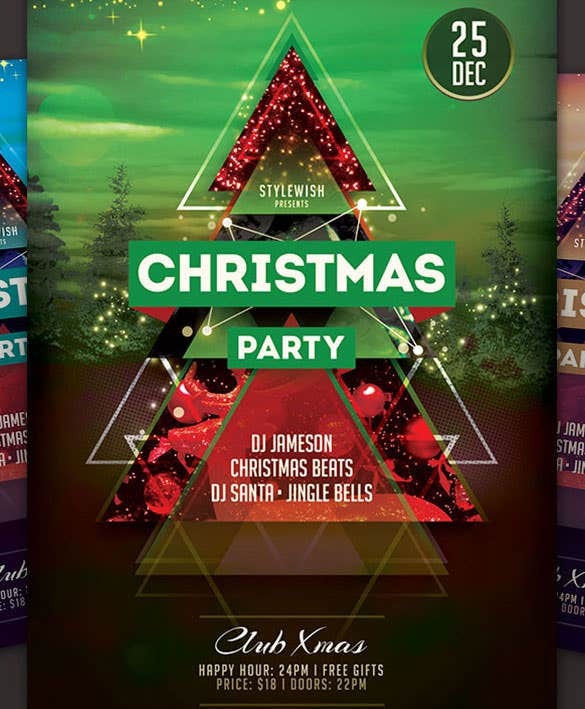 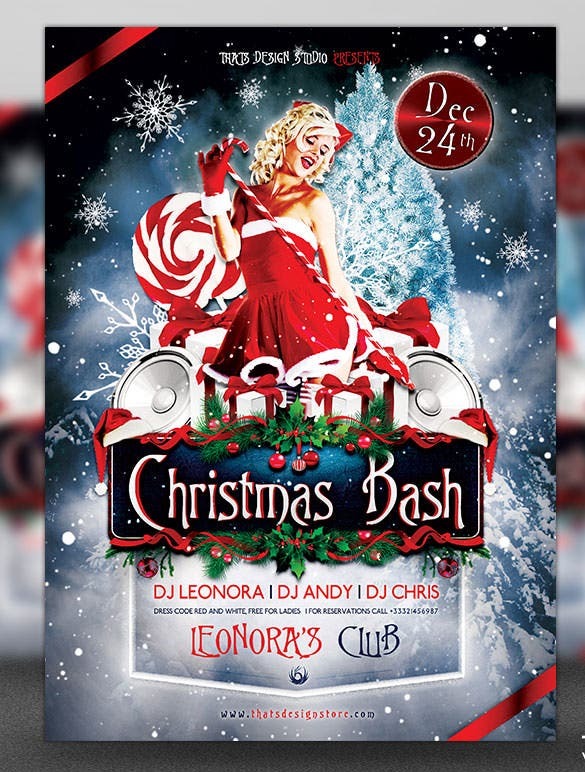 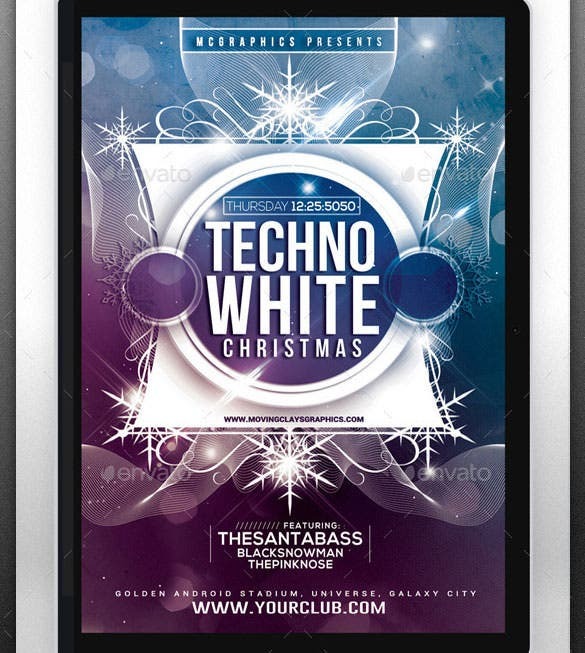 If you have planned for a party in a club, this festive bash Christmas party flyer is the one which is vibrant and catches the eye and fulfils the purpose. 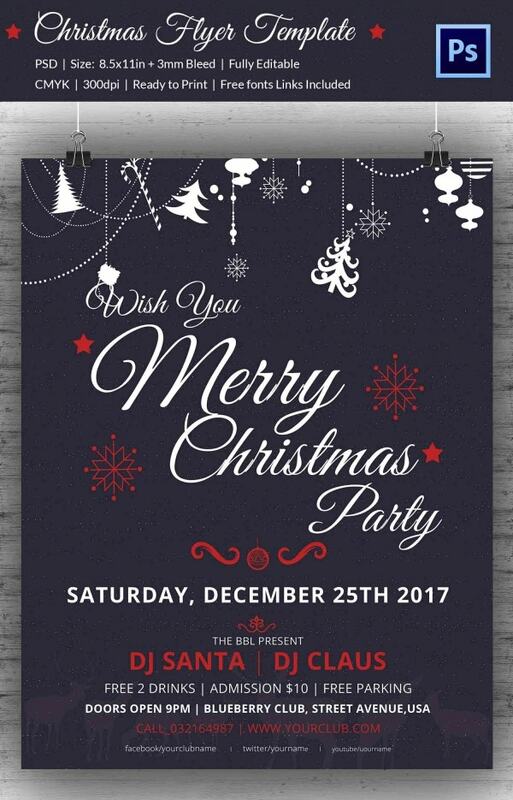 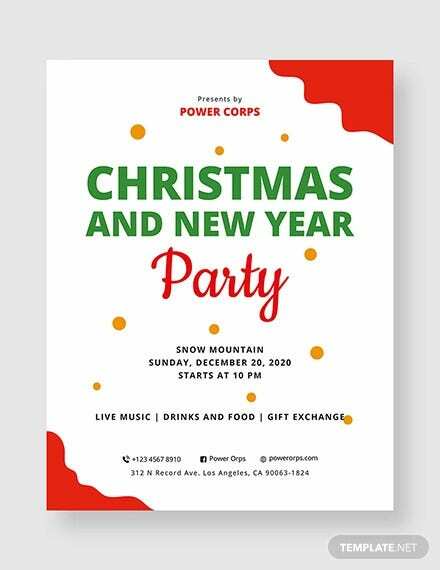 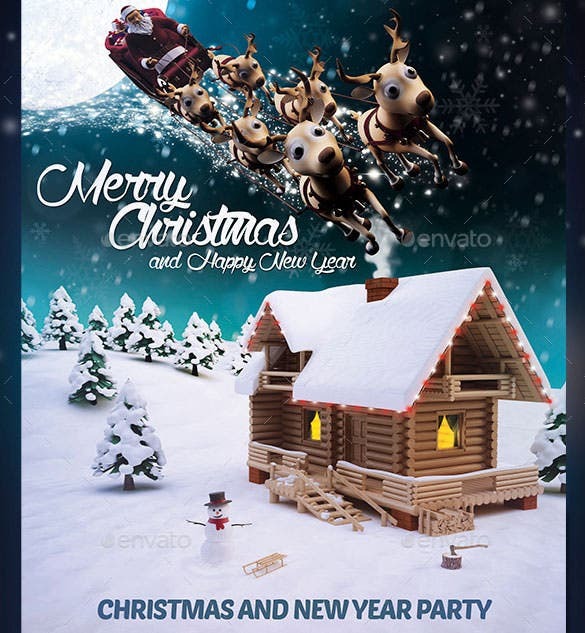 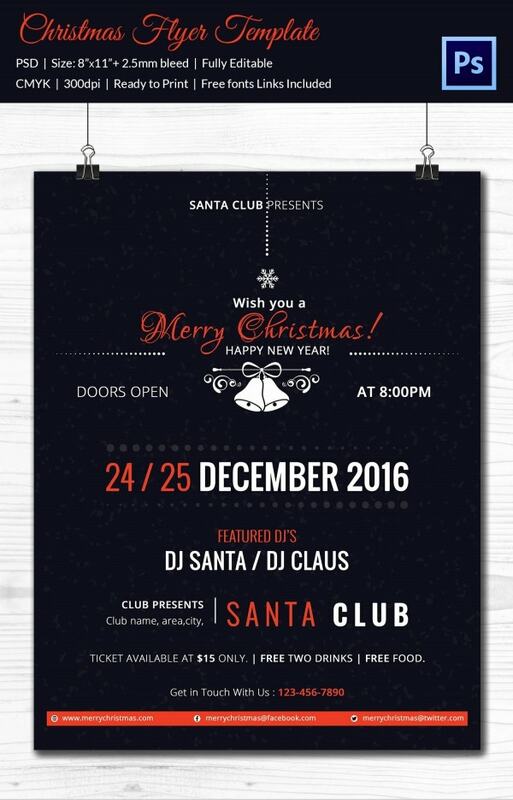 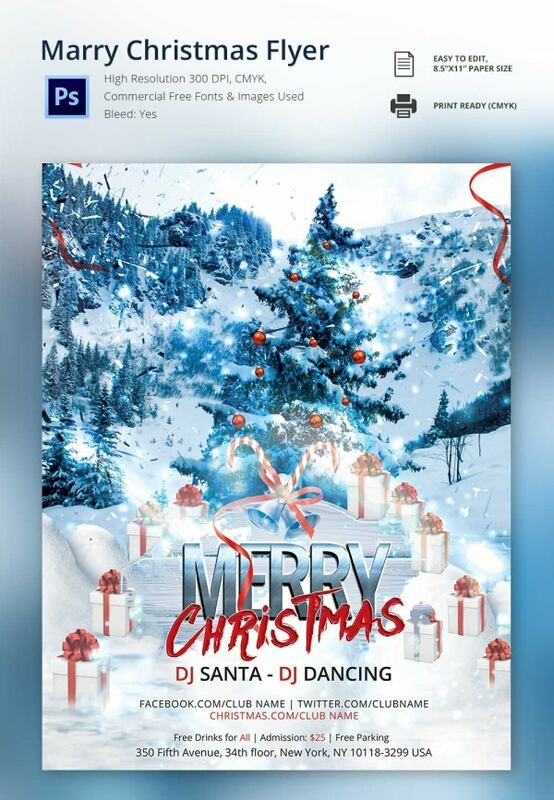 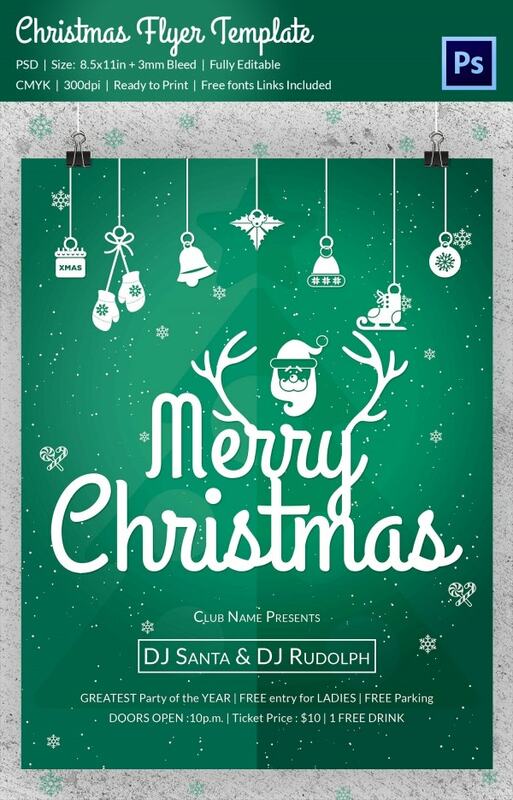 This beautiful Christmas party flyer with Santa has a colorful background and an image of Santa Claus that will go out as the perfect invitation flyer in this Christmas season. 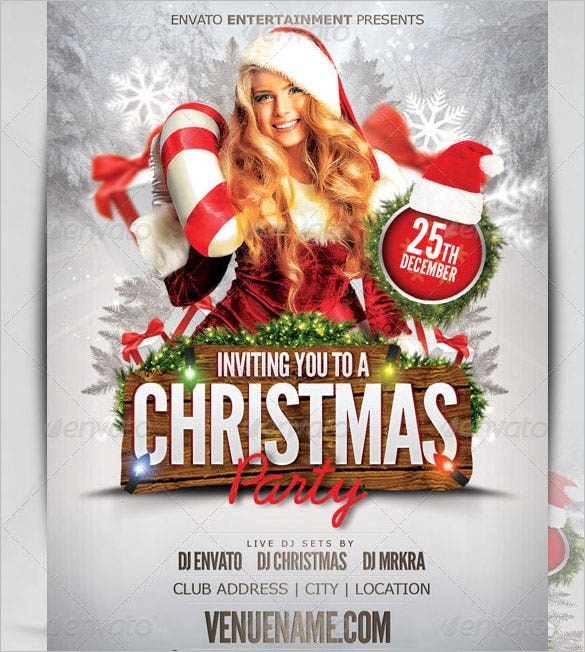 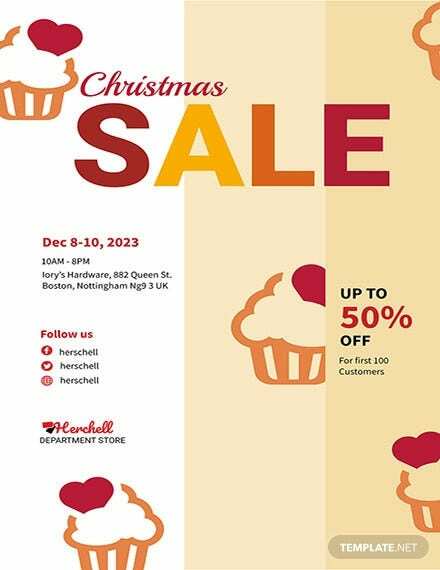 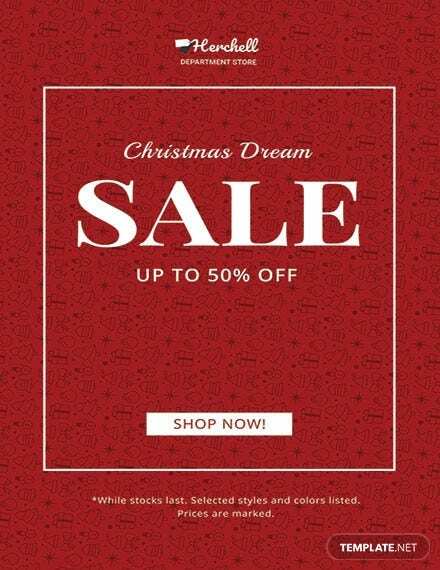 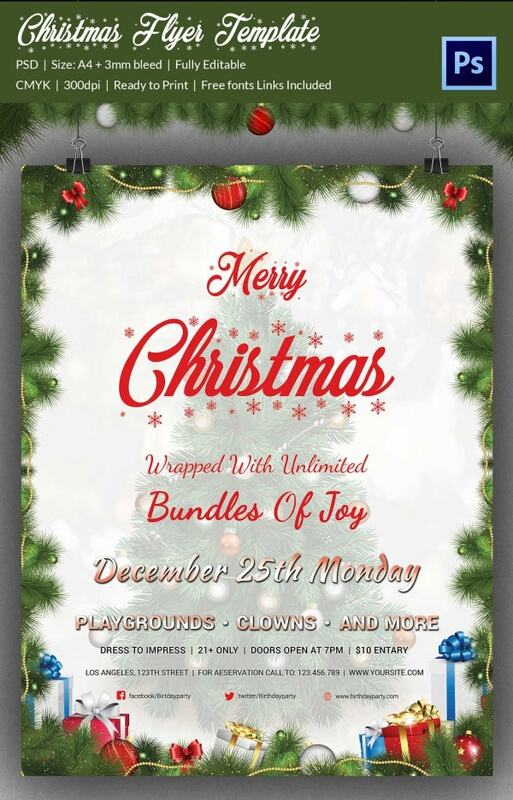 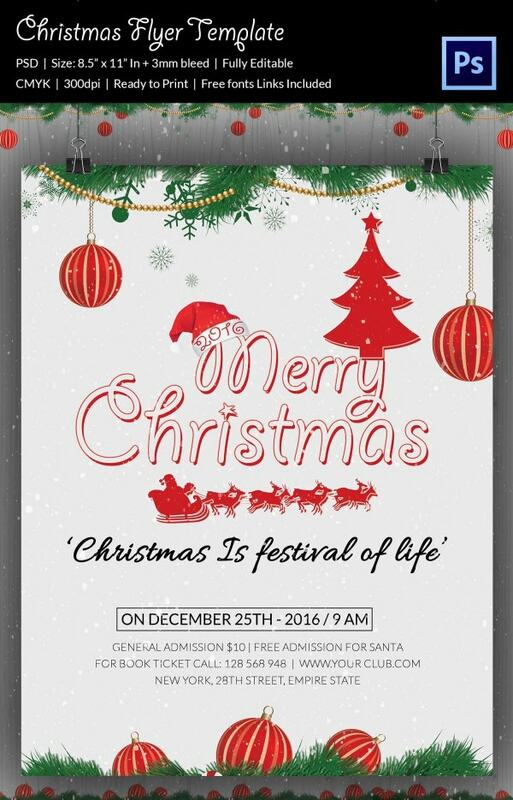 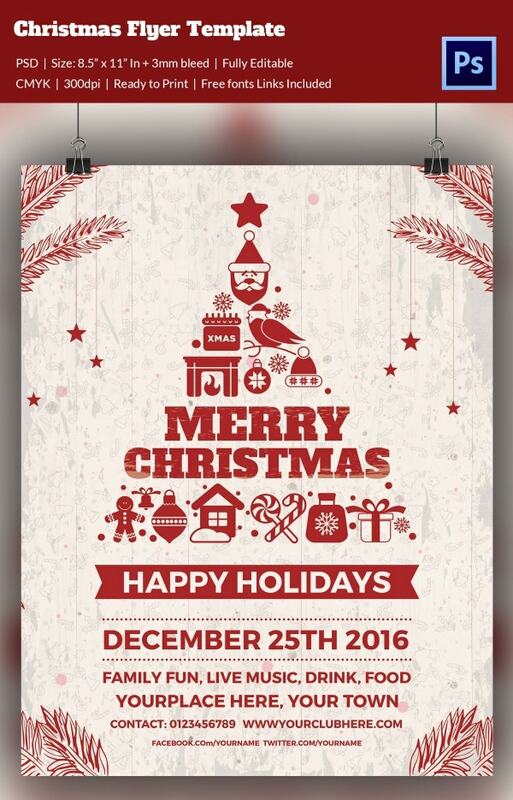 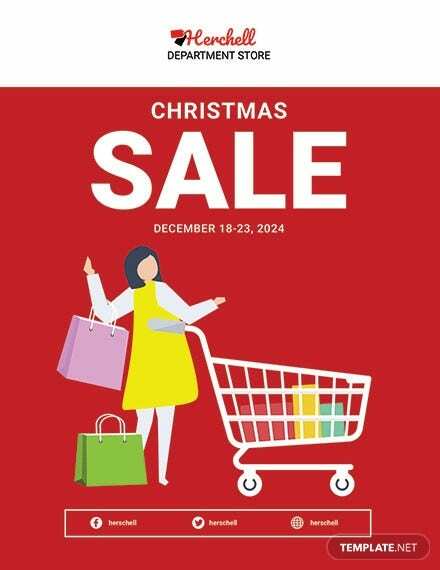 Our large assortment of free Christmas flyer templates comes in handy when you have lot of other important things to do apart from designing a flyer. 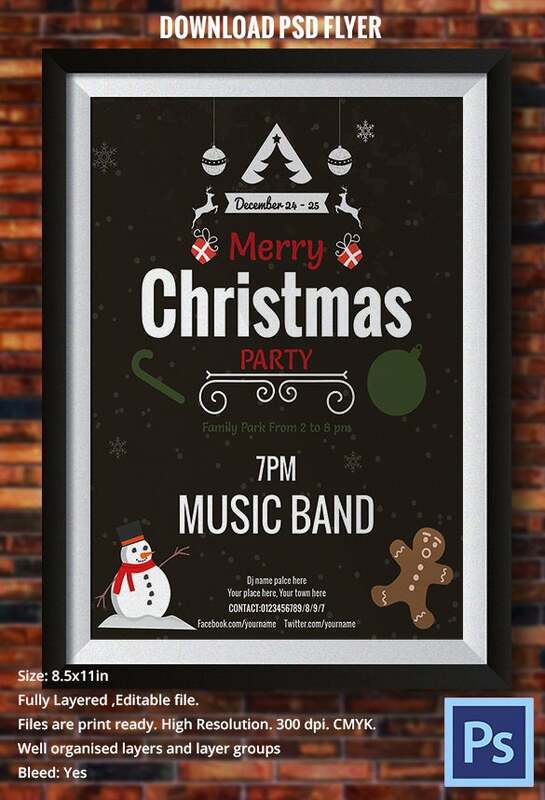 These ready to use easy Christmas Templates are quick to personalise and create. 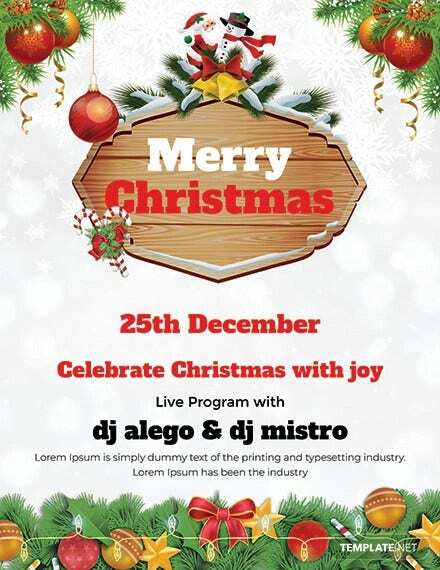 Get ready to have a bright and colourful flyer ready in a span of minutes. 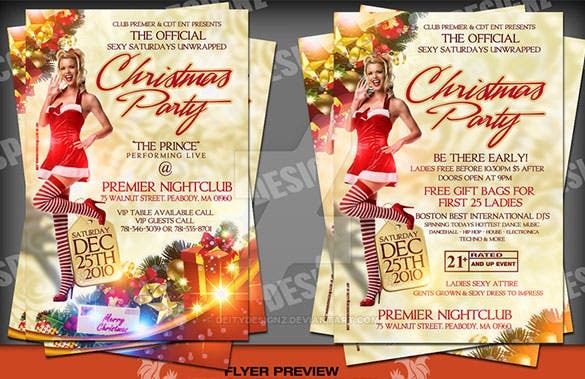 Check out the various segments in our best Christmas flyer template section – announcements, invites, buffet plans, house parties etc. 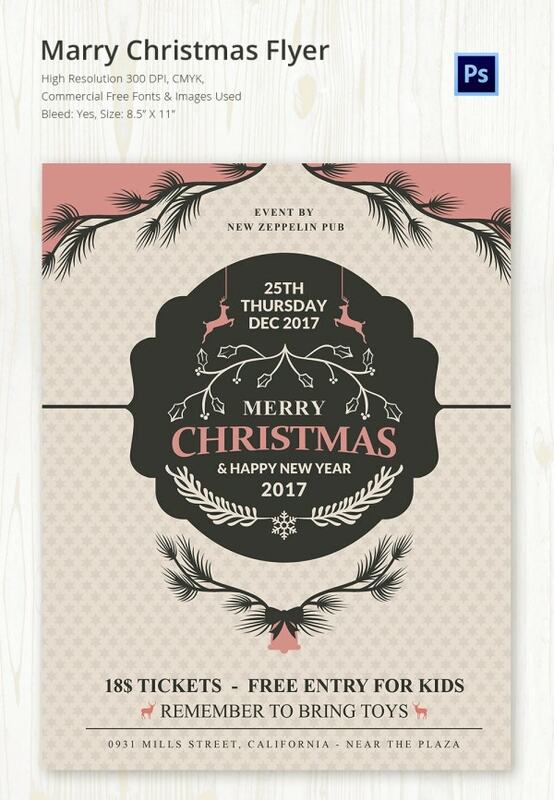 We have a design handy for you for everything. 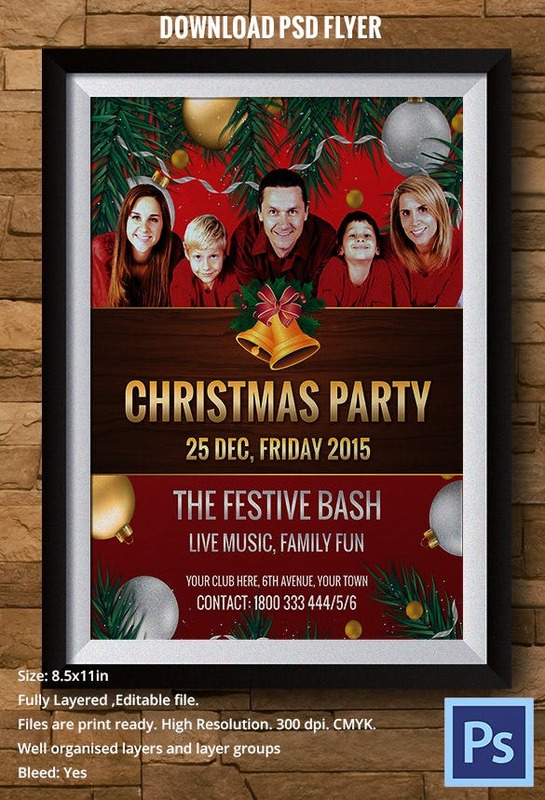 You can simply select the flyer you like and customise with the help of our easy to manoeuvre software. 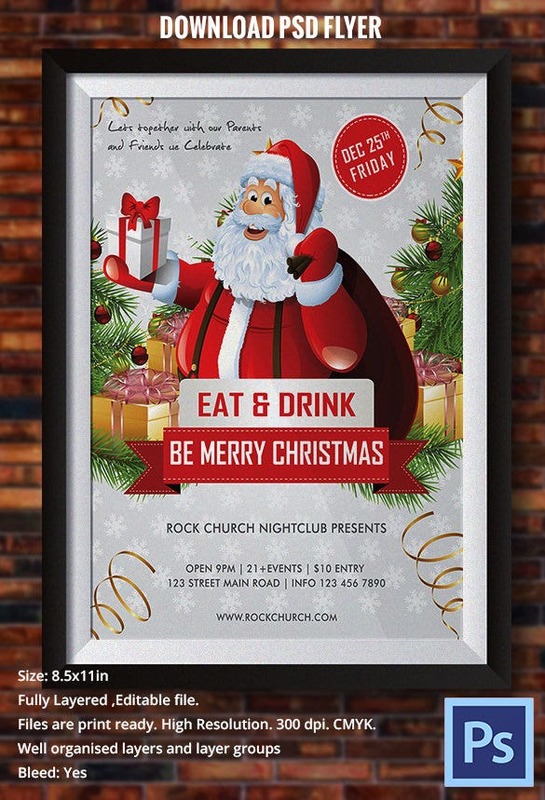 Making and flaunting flyers had never been this simple and effective!